This week Access All Areas members have a new collection premium resources to download courtesy of the Eezy Network. 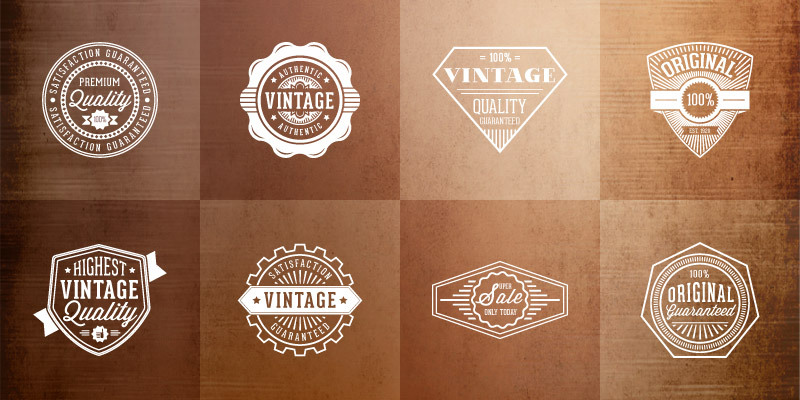 These vector vintage badges all feature different ‘premium quality’ and ‘satisfaction guarantee’ slogans, but the text can be edited to customise the badges for any use. Each of the 16 emblems has a unique design, so there’s plenty of badge layouts to choose from. The Eezy Network has a little something for everyone, from Photoshop Brushes and textures at Brusheezy, to Vector Illustrations at Vecteezy, and high quality video footage from Videezy. Each site has a massive range of free resources for you to discover and download, or you can join the Eezy Premium subscription and gain access to thousands more resources with royalty free licensing and unlimited downloads. 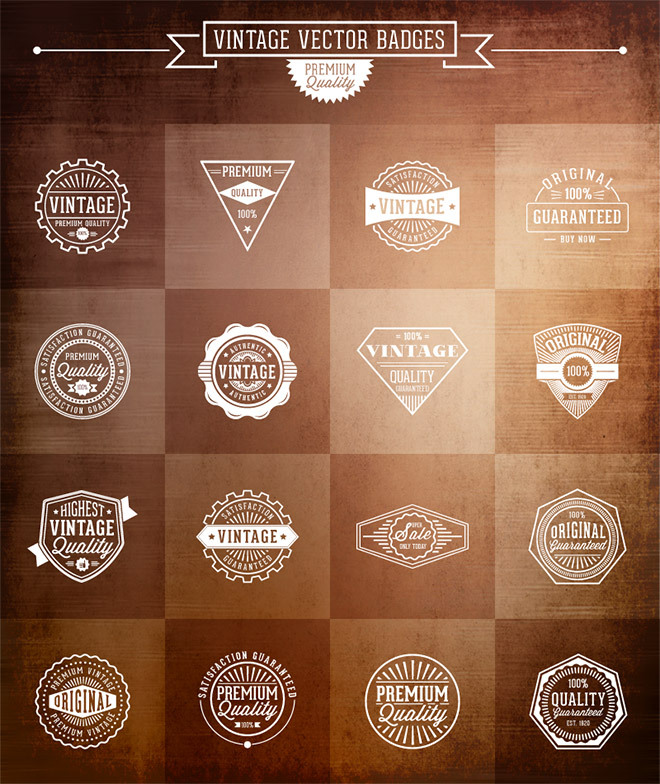 Access All Areas members can now download this collection of 16 vector vintage badges as part of their membership. The designs use the free fonts named Geared and Wisdom Script, so the text can be edited to change the wording while retaining the original designs. Thanks a lot, the badges look nice, they will add a lot of style to graphic works i plan on doing. Thanks so much, these badges look awesome!